If you have a thick or thin head of hair, both can benefit from a short textured hairstyle. Texturing the hair usually involves a straightedge razor or a pair of thinning scissors. Communicate with your hairstylist or barber about using one of these methods to create dimension in your hair. 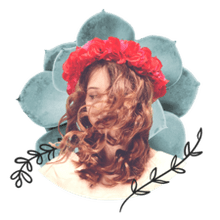 For thick and unruly hair, texturizing will help to eliminate bulk, allowing your hair to gain shape more easily, rather than being weighed down. For thinning or fine hair, texturizing helps create volume and movement, giving the appearance of a fuller head of hair. Finish the look by styling with a wax (for thicker hair) or pomade (for finer hair). Be sure to disperse the product evenly through the palms of your hand before working through the hair for even application. You will simultaneously look clean cut and stylish. You’ll want to make sure you visit a hairstylist or barber with excellent clipper skills to achieve this look. The nape and sideburns should be faded, going from skin up to a taper at the crown of the head. The top of the hair is then skillfully blended and textured for upward and forward movement. Once you have the haircut, styling this look is a breeze. After a quick shampoo, blow-dry the hair forward with an easy tassel from your fingers to gain movement and desired height. Once the hair is dry, rub a styling wax that has a little shine through the palms of your hands and work the product through your hair using the same movement you did with the blow dryer. Styling should take no longer than 5 minutes and you're off to start your day without having to mess with your hair again throughout your day, it’s that easy. The cut for this style should be tapered with clippers at the nape and on the sides, and the top is left longer but with layers and texturing throughout. You will need to use a blow-dryer to achieve volume to the top, working the hair towards the back with a brush. Either a flat boar bristle or pronged vented brush works best. A quarter size amount of styling mousse will be incredibly helpful. Work the mousse through damp hair and using a brush, blow-dry the hair with upward movements, working away from your bangs. Once dry and ample volume has been achieved, work through medium-hold pomade that has some shine. You may need a light spritz of a light-hold hairspray if the weather is particularly humid outside. You do not want to end up with a flat style. Clippers are not required for this haircut. Your hairstylist or barber can achieve this look by giving you a short layer all over. It is meant to look slightly disheveled, so be sure that they run a pair of thinning or texturizing shears through the layers. This hairstyle works best if you already have natural wave to your hair, allow your hair to bend the way it is meant to. If your hair is stick straight, this style will not work for you without first getting a body wave process on your hair at the salon. A fairly low-maintenance haircut that you can wash and let air dry. To keep in line with the ease of the style, use a styling wax that is matte, meaning, without shine. This way you will have product in your hair for light control without looking like you put anything in it at all. You’ll look both dapper and laid-back. This hairstyle looks fashionable and does require some styling skill. You will need a tapered clipper cut at the nape and sideburns. The top is left long, blended into the sides, with longer layers on top. Medium textured hair with natural body works best for this hairstyle. Try shampooing with a volume-building shampoo to start with a strong styling foundation. Dispense a volume boosting mousse into your hands, the size of an egg, and work through damp hair. Part the hair where it naturally wants to split. Using a blow dryer and brush, work the hair up and slightly off to the side. A Denman style or paddle boar bristle brush is recommended for styling this hairdo. Once the shape has been created, finish off with a quick-drying medium hold hairspray for hold. Instead of working against your naturally curly hair, have your stylist cut your hair into a shape that works with the curl. This style is achieved by working with the natural shape of the head, tighter in the temples and nape while fuller on top and in the crown area. The right amount of layering will make the curls spring in a way that is desirable. Humidity is your enemy when you have curly hair, so you will want to contain the frizz so that your curls are nice and wavy. It is best to let your hair airdry, or use a diffuser on the end of your blow-dryer if you don’t want to wait for it to dry. A diffuser can either look like a giant plastic cup with finger-looking prongs coming from it or a mesh-like sock that slips over the end of your dryer. Work a grooming cream that is designed for curly hair, as it will have ingredients to battle humidity and frizz. Finish with just a few shine drops in your hands and finger through the curl. A widow's peak is where a point in the middle of your front hairline naturally forms, creating a “V” pattern in front. You typically see a widow’s peak in villainous characters such as vampires, but no one will accuse you of being a bad guy when you look this good. Since the peak forms a forward point, you want the hair to have opposite movement, upward and back, and it will help with the appearance of height to your hair. Keep the sides and nape tapered tight and medium length that is textured on top. You can part the hair for a sleeker look, or tousle the top for a trendier style. Use a medium hold styling gel or a wax that has some shine to it. This is a classic clean-cut style where the sides and nape are clippered short. The top is also cut short but heavily texturized with thinning shears. You can add a little flair to this classic cut by having just the tips of the hair lightened a shade lighter than your natural color. Styling this hair is as easy as washing and go. On damp hair, you want to work a firm or strong hold gel and spike the tips upwards. Between haircuts, use a personal trimmer to clean up the neck hairs and square off the sideburns as they become unruly. This is a playful look that goes great with the summer sun. If a high-profile celebrity such as George Clooney can go grey gracefully, so can you. Keeping up with coloring your hair can be costly and time-consuming, so if you are turning salt and pepper, give it a test drive by going au natural. The style can be just about any shape, so work with the texture of your hair and have your stylist cut a look that is flattering. When hair does go grey, keep in mind that the texture of your hair does change, making the hair feel coarser and potentially look more dry. Use moisturizing and shine enhancing products that will soften the texture and add a natural sheen back to the dull hair. If you absolutely hate the grey, you can always opt to color it. Keeping the hair short will give you a clean-cut look, but adding texture that will make your hair look deliberately unkempt will give your style an added edge. 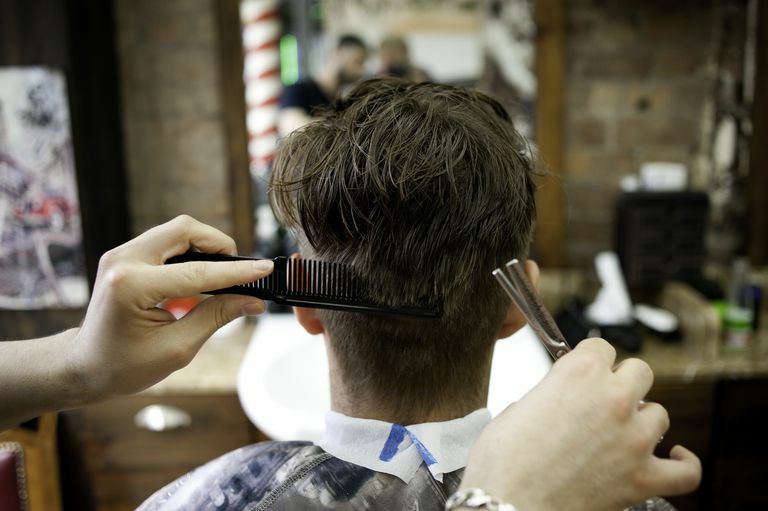 Be sure your stylist or barber utilizes a straightedge razor or thinning shears to create a chunking effect through the top layers. Styling this hair is virtually low maintenance, but that does not mean just waking up and go. You want the bed-head look without actually having bed-head. On damp hair, work a styling putty or clay through the hair, something with more hold than a wax. The putty stays moldable throughout the day so you can take your fingers and tousle it whenever it starts to fall or smooth out. This is an effortless look that is in line with current trends. Use a molding wax to create a “piecey” look on the tips and comb the rest into place. By doing so, you can carry off this classically conservative haircut with just a little flair. Adding style with the appropriate product will not compromise your professional look. Take this day look into nighttime fun by messing up the top with just a little more of the styling wax. Relaxing the hairdo will help you relax after a hard day at the office. Often this style is referred to as a buzz cut, or military style cut. By leaving just a little more length on top gives you the low-maintenance aspect you love about having a buzz cut, only with just a tad more style. If you have to remain conservative, you can always comb the top length into place with ease. But if you want to have a fun with this style, spike up the top with a firm hold hair wax or a medium hold gel. You want the hair to remain touchable, but adding the styling product will add flair to this classic short cut. Also, this is an excellent style to battle hair cowlicks if you are plagued by them, where patches of hair grows in a swirl pattern, causing that patch to stick straight up. The hair is buzzed extremely close to the scalp, eliminating the battle of the cowlick. If you have a cowlick in the front, leaving a little length in front where the cowlick grows can actually aid in the style, such as the pictured gentleman. This is a style that is not as short as a buzz cut but still hugs the shape of your scalp by cutting the hair short and one-length all around. Square off the sideburns and the nape as well. This is a low maintenance haircut, but with a little effort, you can look stylish. You want to use a boar bristled brush to distribute your natural hair sheen as this look can look dry if you just wash and go. Take just a few moments to run a light hold pomade that has shine and you will look fresh and styled without a whole lot of effort. Use a personal trimmer in between haircuts to square off sideburns and the nape when unruly hairs start to grow back in. This will save you time and money from having to visit your stylist or barber too often. If you have natural curl but dislike it and don’t wish to emphasize it, keeping it short will help control the wave. But because you have natural wave, it will give your short style volume and body that many men with fine or stick-straight hair will most definitely envy. Have your hairstylist or barber use scissors to achieve a medium length cut that is slightly tapered at the sides and nape of the neck. You will have natural movement and body in your hair, so using a blow dryer is not necessary unless you want to front hairline to stand up. Use a medium hold styling gel to give your hair the needed control. Finish the look with a light spray shine to help control any frizz that the humidity might bring. Plus, the added shine provides a nice polished look to your style. The popularity of the show Mad Men has brought with a revival of men’s retro hairstyles. The look is classic, timeless, and incredibly masculine. The nape and sideburns are tapered and squared off to create nice clean lines. The top is a longer layered cut in order to comb off to the side or sleek straight back. Is a 'Fade' Haircut Right for You?